Abstract: Brief introduction to Dependency Injection in ASP.NET Core, a comparison from ASP.NET MVC 5, followed by a look at the built-in dependency injection support in ASP.NET Core and using 3rd party containers like Autofac and StructureMap. .NET Core and ASP.NET Core have been around for almost 2 years since its 1.0 release. With it came a new modern and multi-platform framework built from the ground up. 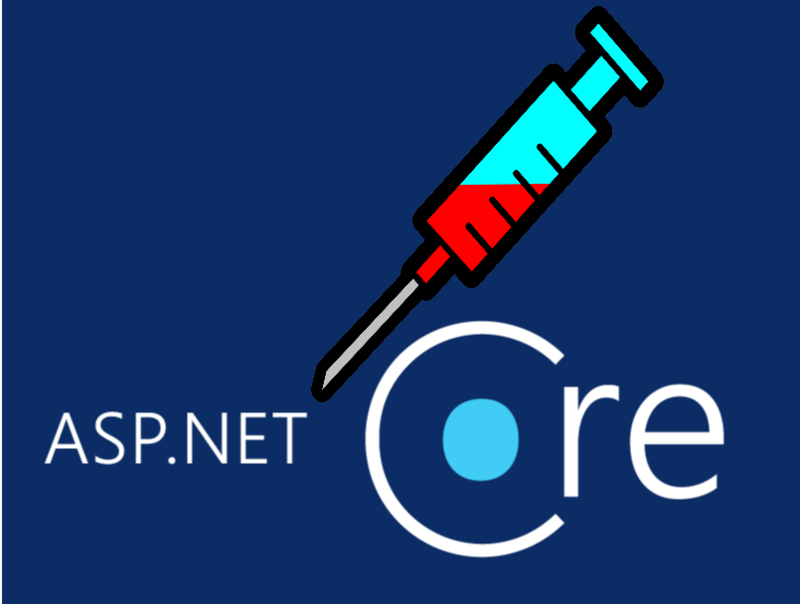 One of the design principles of ASP.NET Core was embracing dependency injection as a first-class citizen. It not only provides the necessary hooks and infrastructure to inject your dependencies, it is also the way framework objects are composed and wired together. Are you keeping up with new developer technologies? Advance your IT career with our Free Developer magazines covering .NET Core, MVC, C#, Patterns, Azure, Angular, React, and more. Subscribe to the DotNetCurry (DNC) Magazine for FREE and download all previous, current and upcoming editions. To achieve this vision, ASP.NET Core ships with a simple built-in dependency injection container. Not only that, but the container itself is another dependency abstracted behind the IServiceProvider interface, easily allowing for authors of fully-featured containers to be compatible with the framework and for users to replace the built-in container. This article provides a brief introduction to the subject, followed by a look at the dependency injection support in ASP.NET Core and its built-in container. We will also wrap up the article by replacing the built-in container using two popular containers like Autofac and StructureMap. While most of you might have already come across dependency injection, let me do a quick recap to establish the context. This might also help new joiners to follow along. Dependency Injection is nothing more than a pattern where classes or modules declare their dependencies for others to fulfil at runtime. In object-oriented languages this means classes won’t instantiate themselves the dependencies they need, instead they will simply declare them for someone else to instantiate and provide (or inject). Constructor injection is the most common way of doing so, but is not the only one as you can also consider injecting using a property setter or as a method argument. The Greeter class needs an instance of IMessageWriter but instead of creating an instance itself, it simply declares what it needs in its constructor and relies on someone else to provide that at runtime. So rather than doing this.writer = new MessageWriter() in its constructor, the dependency is injected as a constructor parameter. See also how the dependency is declared using the IMessageWriter interface rather than a specific implementation class. This is important since now our Greeter class doesn’t depend on a specific writer. Any writer that implements such interface will work. Testability - Code can be independently tested, and test mocks injected during tests. Maintainability - Having code which is both extensible and testable goes at great lengths towards enabling maintainability! Open-Closed principle. The interfaces and declaration of dependencies provide a natural hook to add new functionality to the system without modifying the existing code. Dependency Inversion. Your higher-level modules (the ones implementing your important core business logic) can declare and control the interfaces they need, for lower level modules to implement. This is considered our composition root, the place where we cannot keep declaring dependencies anymore and instead needs to create concrete instances. In such a simple example with only two objects involved, we have been able to manually do this. In more complex applications, the composition root might need to create and compose complex object graphs which is why we use dependency injection containers. While dependency injection per se doesn’t require the usage of containers, managing the dependencies manually on any non-trivial application would be a huge headache. A container basically acts as a catalogue of all our dependencies, allowing the composition root to simply ask for a resolved object. Of course, containers provide many other desirable features when following dependency injection like lifetime management, convention-based registration or interceptors to name a few. Since its early versions, ASP.NET MVC supported dependency injection, however it was opt-in and until ASP.NET MVC 3 came and introduced the IDependencyResolver interface, its usage was somewhat limited to controllers and its dependencies through the IControllerFactory. Note: ASP.NET MVC doesn’t support dependency injection out of the box and won’t be able to instantiate a controller with parameters. You need to manually configure DI in your application to make this possible. The contract was this: whoever wants to use dependency injection can do so by replacing the default implementations of IDependencyResolver or IControllerFactory with one that knows how to resolve the required dependencies. // Set the dependency resolver to be Autofac. While overtime all the popular libraries supported MVC out of the box and converged on a very similar setup pattern during application startup, it was something that a developer would need to manually add to the project. Another important consequence of dependency injection not being a first-class citizen was that framework dependencies themselves wouldn’t be available for dependency injection! For example, if you needed access to the HTTP context of the current request, you would need to use the HttpContext.Current static property whereas in ASP.NET Core the framework provides the IHttpContextAccessor interface which can be injected in your classes. 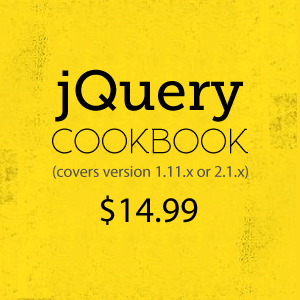 This catalogue is simply a map between target dependencies like IArticlesRepository and the classes that actually implement those dependencies like ArticlesRepository. Several extension methods defined in the Microsoft.Extensions.DependencyInjection namespace provide all the methods necessary to register the dependencies (or services) within an IServiceCollection like AddTransient, AddSingleton, etc. (We will learn about these methods later on). Let’s keep exploring how the framework itself register the dependencies. It has become idiomatic to create extension methods that register all the dependencies required for a given feature with a single call. That is exactly what is going on with the AddMvc() call. So as you can see, the framework really does register all its dependencies within the IServiceCollection. But that is just one part of the puzzle. In order to get a working application, dependencies also need to be resolved. However, you would very rarely need to directly use the IServiceProvider directly. Instead you just need to make sure to use dependency injection, declaring dependencies in the constructor of your class and that your dependencies are registered within the IServiceCollection. The framework will then be able to resolve and inject your dependencies at runtime. The built-in container is nothing more than the implementation of IServiceProvider in a way that understands the catalogue of dependencies in a given IServiceCollection! That’s it, now the MVC framework can ask the IServiceProvider for an instance of your controller, along with an instance of the repository. At this point you might be wondering what happens if ArticlesRepository itself has some dependency. Nothing changes, you just need to make sure the new dependency is registered within the IServiceCollection and the container will be able to recursively resolve the dependencies, building the object graph. Transient. A new instance will be provided every time the dependency is resolved. This is the equivalent of calling new every time the dependency needs to be injected. Scoped. The same instance will be provided every time the dependency is resolved within the same HTTP request. You can think of it as a singleton in the context of one request. Singleton. The same one instance is provided every time the dependency is resolved. This is the same as implementing the singleton pattern. All those statements will achieve the exact same result, which is registering the IArticlesRepository dependency using the transient lifetime and the implementation class ArticlesRepository. And very rarely would you need to use anything other than its first variant using the generic types! This is all great, your dependencies will be created for you using one of those lifetime options. But what about cleaning those dependencies, and more specifically about calling Dispose in IDisposable dependencies? You will be glad to hear the framework will take care of calling the dispose method on any dependency that has been resolved once it is no longer needed. Interceptors might enable powerful aspect-oriented scenarios down the line. Of course, the authors of the container should have added support for ASP.NET Core, otherwise the container won’t know what to do with the IServiceCollection nor how to implement an IServiceProvider. Let’s take a look at a couple of popular examples next. Start by adding to your project the Autofac.Extensions.DependencyInjection Nuget package. This is the package that integrates Autofac with the .NET Core dependency injection interfaces. That’s it, now you can start using Autofac’s features in your project! The process is pretty much the same than with Autofac. Start by installing the StructureMap.Microsoft.DependencyInjection NuGet package. // NOTE: StructureMap recommends you to use registry classes! As you can see it is essentially the same code using StructureMap’s API instead of the Autofac one. Dependency Injection is a critical pattern that every developer writing object-oriented code should learn. But how easy it is to put it into practice depends a lot on the framework you are using. As we have seen through the article, ASP.NET Core has been designed with dependency injection in mind and even its own simple container out of the box. This means there are no obstacles to use dependency injection and create loosely coupled code from day one. Not only that, dependency injection itself has been abstracted by the framework in a way that makes replacing the built-in container, seamless. Provided your container of choice has implemented the required interfaces, you can replace the built-in container in a few minutes. If it wasn’t already, this should make dependency injection second nature for ASP.NET Core developers! This article was technically reviewed by Ravi Kiran. Daniel Jimenez Garcia is a passionate software developer with 10+ years of experience. He started as a Microsoft developer and learned to love C# in general and ASP.NET MVC in particular. In the latter half of his career he worked on a broader set of technologies and platforms while these days he is particularly interested in .Net Core and Node.js. He is always looking for better practices and can be seen answering questions on Stack Overflow.